Transfer your credits to ABTU and save! 100% Online University & Finish Faster, for Less! Fill out the form below to discuss your options and request your complimentary Transfer Credit Evaluation. Interested In Transferring Credits? We Can Help! 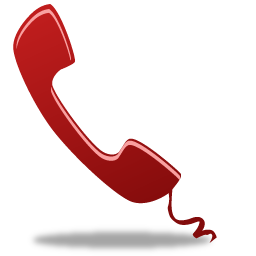 Simply fill out the form above to speak with an ABTU representative or give us a call at (800) 804-1388. We'll be glad to help you explore your options. New to ABTU? Keep reading to see why we may be the right choice for you! Courses are 100% LIVE and online (primarily evenings & weekends). 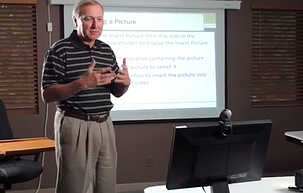 Access classes from your computer or mobile device and watch recorded lectures at your own pace. Coursework is specifically designed to accommodate the busy working individual's schedule. ABTU has one of the highest transfer credit acceptance policies in the nation. Applying the maximum amount of your previous credits toward your education is just one of the many benefits of getting a DEAC accredited degree at ABTU. 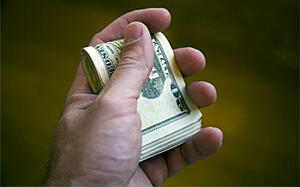 To learn more about our Transfer of Credits Policy, you may click here. ABTU is proudly accredited by the Distance Education Accrediting Commission (DEAC) and certified by the Missouri Department of Higher Education (MDHE). 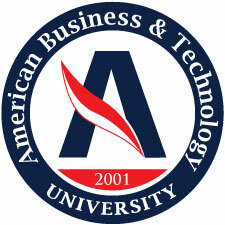 American Business & Technology University is a 100% online institution that provides instructor-led learning in a live virtual classroom environment. Similar to a webinar, our live virtual classroom technology allows you to see and hear your teacher, virtually raise your hand and also ask questions privately or live during class. Our learning model gives you the convenience of attending live online classes from anywhere in the world while also maintaining the quality you would expect from a traditional university campus. But beyond the capabilities of campus classes, our virtual classes are also recorded and available to watch 24/7! "The class assignments and test were extremely flexible to my schedule. The instructors and faculty were all great, they were committed to making sure my fellow classmates and I succeeded. I am so grateful to everyone at ABTU and very excited to be enrolled back to the university to pursue a second degree. I have come to believe that ABTU puts its students first, and so far, it has not let me down." "ABTU was both a challenging and rewarding experience. The curriculum provided an opportunity for me to excel at my own pace." "The Instructors at ABTU were professional and helpful throughout my degree program, and gave me the motivation to follow through with my goals and accomplishments." Fill out the form on this page and an ABTU representative will be in contact with you shortly to answer any questions you may have.